Universidade de São Paulo (USP) is the largest Brazilian higher education and research institution. It has been ranked one of the best universities by all global evaluations and top-ranked in Latin America. Located in São Paulo State, USP comprehends 8 campuses, of which one is located in the city of São Carlos, 250 km from São Paulo city. 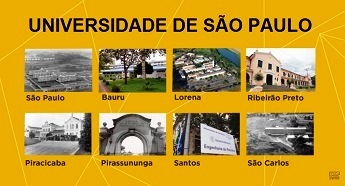 São Carlos campus offers 22 undergraduate programs and 19 graduate programs in the following areas: Engineering, Architecture and Urbanism, Chemistry, Physics, Mathematics and Computer Sciences.